Epsilon-24000's advanced Ethernet switch board includes two innovative features that enable automatic power savings. The switch can detect unused Ethernet ports on network devices and power them down or place them in stand-by mode. 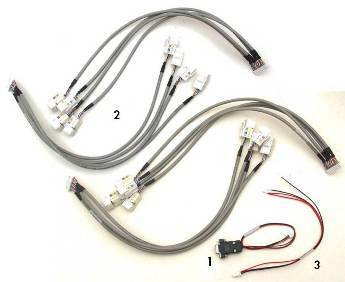 Additionally, the switch actively adjusts the power level needed based on cable length, saving energy on links shorter than the 100m maximum specified length. Input power is provided through the built-in, wide-range +5 to +34VDC power supply, enabling operation using industrial power sources. Epsilon-24000 comes loaded with all required firmware, enabling its immediate operation without any development effort. The included web interface provides an intuitive GUI for use in configuring and managing switch functionality. The ACC-EPS24000-DB product upgrades the EPS-24016-104 model to the EPS-24026-104 model, adding 8 Gigabit Ethernet ports and 2 SFP sockets. Two Development Kits are available for the Epsilon-24000. The DK-EPS24026 Development Kit contains an EPS-24026-104 26-port Gigabit Ethernet switch, cable kit and LED accessory board. The DK-EPS24016 Development Kit contains an EPS-24016-104 16-port Gigabit Ethernet switch, cable kit and LED accessory board.